Has Islamic State Finally Been Defeated? Hayat Tahrir al-Sham and al-Qaeda: Affiliates or Foes? The Great Debate: Should Countries Allow IS Fighters to Return? Over the past two years, the Islamic State in Iraq and Syria (ISIS), as it called itself until 29 June 2014, has emerged as the most powerful faction among the groups fighting the Syrian regime of Bashar al-Assad. Recruiting thousands of foreign, Arab, and local fighters and enjoying a great deal of funding (the sources of which remain controversial), IS was able to control vast areas of Syria and Iraq in a remarkably short time. IS expanded in every direction. Its fighters simultaneously gained ground at the expense of the regimes of both Iraq and Syria, various Syrian opposition groups, and the (semi)autonomous Kurdish territories. In June 2014 IS changed its name to Islamic State (IS) to reflect its limitless ambitions. The rapid growth of IS’s influence alarmed many regional and Western governments. The group published on the Internet videos of the atrocities it committed both against local and Western people, and its members threatened Western and Arab governments, as well as various local forces. 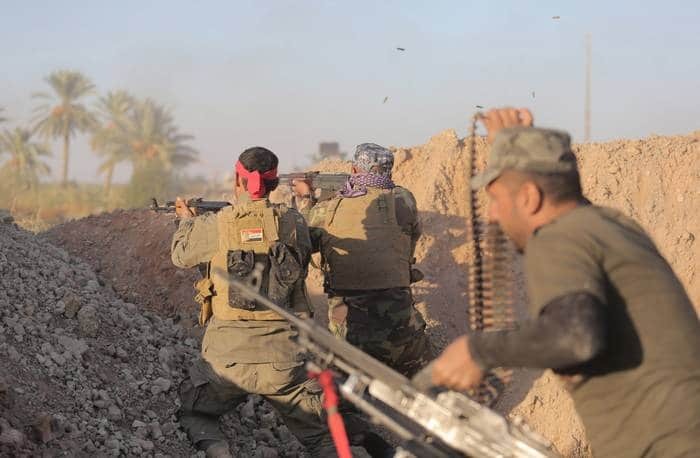 In Iraq, government forces soon proved unable to stop the expansion of IS, and the Iraqi government rushed to ask the United States to intervene. In response to that request, the US Air Force in August 2014 began bombing various IS sites in Iraq in support of the Iraqi government forces, the Sunni tribes, Kurdish fighters, and thousands of Yazidis who were besieged by IS jihadists on Mount Sinjar. A statement by the US Department of Defense said, “At the request of the Government of Iraq, the U.S. military on Saturday conducted coordinated airstrikes against IS terrorists… We will continue to conduct operations as needed in support of the Iraqi Security Forces and the Sunni tribes”. Apart from those limited strikes, however, Western and regional reactions to IS advances remained verbal. On 19 August, however, a development took things to another level: IS aired a video showing the beheading of James Foley, an American journalist who had been missing in Syria for about a year. Foley’s execution forced the United States to take seriously the matter of widening its intervention against IS. The Obama administration was under great pressure from American public opinion to do something about that crime and IS threats to execute another American reporter, which IS did subsequently carry out. In a speech on the eve of the 13th anniversary of the 9/11 attacks, Obama announced an aggressive offensive to combat IS wherever they exist. “Our objective is clear: we will degrade, and ultimately destroy, ISIL [as the US government continues to call IS] through a comprehensive and sustained counter-terrorism strategy,” Obama said. “I will not hesitate to take action against ISIL in Syria, as well as Iraq.” The president announced that he was sending an additional 475 service members to Iraq, although he did not assign them a combat mission. The US plan stipulated conducting air strikes against IS targets and training the “Syrian moderate opposition”, to fight IS on the ground at a later stage. As IS was creeping up on the Kurdish areas of northern Iraq and Syria, the US plan also included support for Kurdish fighters and the Iraqi government forces against IS. “In Syria, we have ramped up our military assistance to the Syrian opposition. Tonight, I again call on Congress to give us additional authorities and resources to train and equip these fighters.… We must strengthen the opposition as the best counterweight to extremists like ISIL, while pursuing the political solution necessary to solve Syria’s crisis once and for all”, President Obama said in his speech. At the same time, the United States refused to coordinate with the Syrian regime, despite Assad’s persistent attempts to be part of the anti-IS coalition. “In the fight against ISIL, we cannot rely on an Assad regime that terrorizes its people; a regime that will never regain the legitimacy it has lost,” Obama explained. The Syrian regime, along with Iran and Russia, expressed disapproval of Washington’s decision, but their reaction never went beyond statements criticizing the “violation of Syria’s sovereignty and the need for the US to coordinate with the regime in Syria”. The United States began immediately to form a coalition to conduct the air strikes. At the time of its announcement, the coalition included Jordan, Saudi Arabia, the UAE, and Bahrain as active participants; several European and regional governments joined the coalition later. The contributions of those governments range from providing humanitarian aid, ammunition, logistics, and/or consultants to participating actively in the strikes. Some only imposed domestic restrictions on activities that could help IS. Consisting of more than 60 governments, the US-led coalition includes the United Kingdom, Australia, France, the Netherlands, Germany, Canada, Turkey, Qatar, and others. On 23 September, the coalition launched its first strikes on IS targets in Syria. Through mid-October 2014, more than 300 missile and air strikes have been conducted against IS fighting sites, arms caches, and armoured vehicles, according to US military officials. But a variety of views has emerged about these strikes and what they could lead to, varying between support and opposition, between confidence and scepticism: it has been difficult to reach a consensus on the campaign. Some analysts, especially Westerners, see the campaign as important because of the participation of Arab Sunni powers in striking a Sunni radical group. This way, they believe, the war on IS cannot be seen as an American war against Muslims. Advocates of this view also praise the morale boost these strikes would give to the Kurdish fighters, the Iraqi army, and the Syrian opposition groups that are fighting IS on the ground. Others take a different perspective. In an article in the newspaper al-Sharq, journalist and political columnist Faisal al-Qasim writes that “a quick look at the international coalition…shows that it simply serves the Syrian regime and its allies. The coalition’s strikes on IS had no damaging effect whatsoever on the Assad regime, its Iranian allies, Hezbullah and Russia. No doubt Moscow and Tehran are happy to see US and Arab aircrafts striking IS sites”. At the same time, former Jordanian information minister Saleh al-Qallab said, “By now, the international coalition should have been able at least to paralyze IS and force it to shrink and retreat. But this is not the case on the ground. IS forces have never stopped advancing in many areas”. Political analyst Othman Merghani believes that “the US media are mocking the campaign on IS due to the feebleness of its outcome and its inability to stop the group’s advances. Expensive weapons are being used, costly air strikes are being conducted, and sophisticated laser-directed missiles are being launched, but none of that has been successful in stopping IS on the ground”. A few think tanks have published studies indicating that the cost of this war could exceed USD 10 billion, and Western military officials, including a former US secretary of defence, have asserted that this war could last for about 30 years. Even US generals think this campaign will, at best, only limit the expansion of IS and will never succeed in eradicating IS completely from the region, as air strikes alone are simply insufficient to destroy any guerrilla organization. Before the coalition’s campaign began, it was reported that IS bases in Raqqa and elsewhere were evacuated and the group’s members had gone underground. No country is yet prepared to send combat forces to attack IS on the ground. Other military experts say that the IS strategy is based on engaging in a defensive war, which—as shown by Hamas in Gaza and Hezbollah in Lebanon against Israel—can lengthen the war and leave neither side able to declare absolute victory. According to specialists on Islamic groups, the current campaign on IS has broadened empathy for the group in many parts of the world, as it “legitimized” IS claims that they are at war with the “infidel”. Some experts expect the campaign to incite retaliation against the countries involved in the coalition and increase terrorist activities in the region and around the world. Observers say that, compared to similar previous wars, such as that in Afghanistan, the intensity of strikes against IS is quite limited. On some days, no more than three strikes are conducted, although in mid-October some heavy strikes were launched against IS jihadists attacking the Syrian Kurdish city of Kobani. While some attribute the weakness of the strikes to the lack of necessary intelligence on IS, others see in this a lack of Western resolve in dealing with the grave threat posed by this group.